Judaism is a way of life, a philosophy, a discipline, and the cultural expression of the Jewish people throughout the ages. 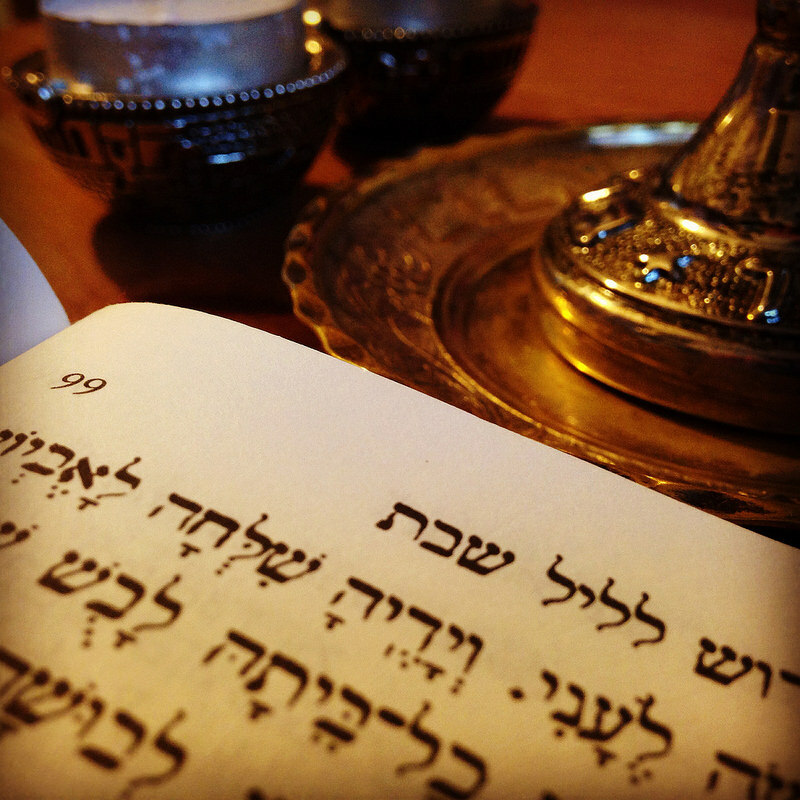 An expression of faithfulness and robust hope, Judaism encompasses the communal act of transforming the Torah (the Five Books of Moses) from literature into lives well lived. One of the world’s oldest continual ways of being human, Judaism is at once a portal into a universal perspective on the cosmos, life, God, humanity and justice, and at the same time a love affair with a particular people, otherwise obscure and small except for the spiritual light they shine on humanity out of all proportion to their numbers. One cannot fully know Judaism from the outside because, at its core, Judaism is not a conglomeration of distilled ideas, but a vibrant way of living, a spiritual/ethical discipline that retains the capacity to elevate consciousness, heighten compassion and inspire righteousness. The pathway for living a Jewish life is the observance of mitzvot (Hebrew for commandments), the sacred deeds of Jewish practice. These mitzvot - 613 in the Torah - span the range of what some would label ritual and ethical. The mitzvot energizes a Jew while waking in the morning (there are words to be said upon regaining consciousness, a way to wash ritually, to dress, blessings to be said with each morning task, all prior to the formal morning prayers). These mitzvot guide a Jew throughout the day, mandating use of just weights, fair business practices, compassion for the poor, giving charity, offering words of greeting to strangers, charging a fair price for goods, honest dealings, avoiding gossip or malicious speech. Each meal entails the regular practice of kashrut, the dietary laws, to direct mindful attention to the meal and how it is prepared and consumed, prayers are to be recited three times each day, and even at the end of the night, when a Jew goes to sleep with particular blessings for the evening, including a prayer forgiving those who wronged the Jew during the day and another asking guardian angels to surround us in our slumber. Being a Jew means embracing the the opportunity of the next mitzvah. Being a Jew means incorporating religion with one’s entire body - wrapping oneself in a tallit (prayer shawl) and tefillin (the leather boxes containing words of ancient scripture); for men, being circumcised, for women, monthly ritual immersion, and on and on - Judaism is what Jews do - creating a fusion of body, heart, mind, and emotion into a single unity that is greater than any of its parts. That unity is a Jew. That dynamic harmony is Judaism. Judaism is a way of life not only for each individual, but for the community as a whole. Every occasion of the life cycle is a celebration of the brit (covenant) embracing God and the Am Yisrael (the Jewish people) - birth and brit milah (for boys) or simchat bat (for girls), commencing young adulthood as a bar mitzvah or bat mitzvah, marriage, illness, and death are all contextualized as expressions of the life of the Jewish people as a whole, an event of significance for our ancient covenant. Even the cycle of days and months and years are illumined by the prism of the Jewish calendar - with Shabbat (the Sabbath) sanctifying the seventh day each week as a day of rest and renewal, and the cascade of Jewish holy days and festivals marking the seasons and moments in the cosmos and the relationship between God and Israel that continue to frame our connection to this day. These strings of sacred deeds, mitzvot, are given coherence and life by a process known as halakhah, which literally means “walking,” or the way. Often translated as “law,” it is far different than some brittle set of rules or a nitpicking obsession with detail. Halakhah, the Way, is communal choreography - Jews cavorting a dance across the generations and around the globe. Our halakhah roots us in the ways our ancestors and sages have implemented Torah in every aspect of our lives, communal and individual. By molding our behavior to express Torah, we Jews take on the role of God’s hands, reaching out to bring healing to the world, of God’s breath, inspiring gratitude that allows us all to breathe in the giftedness of life and to share it with each other. Halakhah, the Way, begins in study. Those born into Judaism start their study at an early age, and those who choose Judaism engage in a lengthy study process prior to conversion. We read the Torah three times a week, completing the full reading each calendar year. We study the commentaries - Mishnah, Talmud, codes - which began in antiquity and continue to this very day - to trace how others before us have concretized God’s presence in the rhythms and practices of their waking moments and communal observance. Contemporary sages continue to apply the halakhah to new situations - either unprecedented novelty or circumstances made new by fresh insights and ethical advance. The halakhah, like the process that is Torah, is alive and continues to produce new branches, new foliage. It remains, as it has been called for centuries, an etz hayim, a living tree. Those intuited ideas are not less important because they emerge from experience, but moreso. At the heart of Jewish doing is the conviction that there is a unifying oneness that undergirds everything and makes openness possible. That oneness exceeds all human description or definition, but permeates all being and invites us continuously to surpass our previous limits. It is because of that oneness that the cosmos is not a mechanical repetition of the same events endlessly, pointlessly. The cosmos blossoms into increasing complexity, connection, relationship and consciousness because - Jews insist - the cosmos has been and still is beckoned toward greater becoming, greater liberation. We call that oneness “God,” and encounter the presence of the Ancient One in our holy deeds (the Aramaic word mitzvah has been understood in the Hassidic tradition not as “command” but as “connection”), and we see continuing invitation of chaos - persistently and lovingly - toward cosmos as the Divine flowering of redemption. Through participation in creation, we connect to the Divine. For Judaism, then, God is author of creation, an intuition which bids us decipher the world’s wonder in order to reveal aspects of its maker, our maker. For that reason, Judaism is enthusiastic about scientific research - both theoretical and practical - welcoming any new tools or insights that allow us to peak behind the curtain of superficiality to understand cosmos at a deeper level. Another pathway toward the Divine is the texting of revelation. We perceive the Blessing One not only through the ongoing process of creation, but also, perhaps more intensely, through the distillation of human listening into words. Scripture - the Hebrew Scripture in particular - is an extraordinary cumulative series of engagement, as generation after generation of priest, prophet and sage listened with an inner attentiveness and distilled Divine bounty (shefa) into words. Those words coalesced into stories and laws, compiled by disparate schools of ancient Israelites and woven together into a sturdy tapestry of Torah across millennia of collaborative effort. Jews believe that when we join in that process of attentive listening, straining to hear the Living Voice among the words of Scripture and aided by the reverberations of our own attentive soul echoes, we too can harvest unprecedented Torah anew. We stand again at Sinai each time we draw new Torah into the world. In that sense, Torah is both a product (a collection of books) and a process (the act of distilling God’s presence/will/invitation into words. Judaism uniquely portrays the Divine as a teacher, paradise as a school. Our continuing reading, learning, and commenting splashes an ongoing cascade of Torah into the world - a fountain of life. Of course, no one can live forever at the base of a thundering mountain; we cannot remain on a peak in direct communion with the sublime. At some point we all return to life as it is lived, to imperfect humanity and to societies in need of our service, our vision and our work. To survive in the world, an ancient way of life and philosophy must ford a way to thrive in reality, in the every day. For Judaism, that mode of survival has been the cultures of Jewish people in every age. Jews carried their Torah with them wherever they journeyed. First we wandered from Mount Sinai in the wilderness to Mount Zion in Jerusalem, there creating what the ancient historian Josephus called “one Temple for the one God.” That Temple stood as a symbol of unity and uniqueness, the visible representation of the human aspiration to fulfill God’s will perfectly and completely. It was an attempt to step, as it were, out of the messy welter of life. That Temple and its vision succumbed to human violence, jealousy and conquest - assaulted by Assyrians, destroyed by Babylonians the first time and by Romans the second. In the wake of its destruction, the Jews discovered galut (exile), the wandering that means one is never fully at home, no where finally at rest. We experienced that the pursuit of empire is a delusional security - the seeds of its own demise are sown in violence and reaped in blood. As a result we Jews (from the word for Judaeans - people of Judah) are always on the way, always in process. There is no place to live in stasis, no way to be complete while alive. Galut is now a universal condition for everyone. But we do not travel alone. Everywhere we go, we bring our Torah with us. We live our mitzvot and whirl the ancient dance of halakhah - observance, study, commentary, life. Our ancient Torah has blossomed in ways we would never have expected: Jews learned from the cultures in which they lived, and gave back - poetry and philosophy and medicine with the Arabs, history and science and commerce with the Europeans, film and journalism, humor and academics with the Americans, art and literature, nationalism, drama, states-craft and war with modernity. The range of Jewish culture is truly a microcosm of the world’s influence, a gift of our hosts (willing and unwilling) to the evolving, conflicting meaning of what it is to be a Jew. Today there are two great centers of Jewish life: the Jewish people have returned to their homeland in Eretz Yisrael, the Land of Israel, to work toward forging a society of democratic values and the flourishing of a broadly Jewish culture, while allowing for the autonomy and self-determination that a Jewish State makes possible. Jews everywhere find a part of their heart bound up in the State of Israel and its flourishing. Jewish life in America is also exploring what it means to be full participants in a robust democracy, in which separation of church and state create the space for a rich religious diversity and a flourishing cultural identity. In both centers, questions of exercising power, ethics, inclusion, and justice in accord with the highest values of Judaism remain an ongoing challenge and opportunity. In both centers, deciphering how to be Jewish in a non-Jewish world remains challenging. There are so many ways to be a Jew today! Yet amidst all that diversity, one simple standard remains: a Jew is someone who resonates personally with the history of the Jewish past and who identifies in aspiration with the destiny yet to be. Jews now live on almost every continent (although the preponderance live in the United States of America and in the State of Israel), speak almost every language, and look like all of humanity. We still read the ancient words of Torah in their original language, still pray to the same universal God our father Abraham encountered, still walk the way shown us by our rabbi Moses. We still question and discuss as we learned from the ancient rabbinic sages of the Talmud and we throw ourselves into social causes with the indefatigable desperation of a people who refuse to be taught to despair. And yes, we are still occasionally “stiff-necked and stubborn” as Moses told us we were. Sometimes our stubbornness is for the good. We continue to hope. On that day, the world will know Shalom (peace). We must join hands to make it so.